During my formative years learning piano, I received instruction from six different teachers, and in that time, I observed several traits and characteristics that make a great piano teacher. 1- Is your teacher teaching for your child or for him or herself? Unfortunately, there are many teachers out there who are intensely focused on winning competitions or they have very rigid curricula that don’t take into account the music that students might want to learn. ASK your piano teacher what their goals are for your child! 2- Does your teacher offer an introductory lesson or evaluation period at the beginning? I would not recommend working with a teacher that locks you into a long-term agreement from the very beginning. The student-teacher-parent relationship is just as important as the teacher’s academic qualifications. Most importantly, you should have time at the beginning to make sure that you made a good choice! OBSERVE your piano teacher in action – See if there is a natural affinity for working with your child! 3- How does your piano teacher motivate your child? Do they use threats and rewards? Science has shown us that both can be very dangerous to a student’s long-term motivation. Studies have shown that reward-based motivation actually kills a child’s motivation over time. Similarly, some teachers use threats and guilt motivation to motivate students to practice. In the end, such tactics strain the relationship between student and teacher, which ultimately leads to burning out and unhappy children. 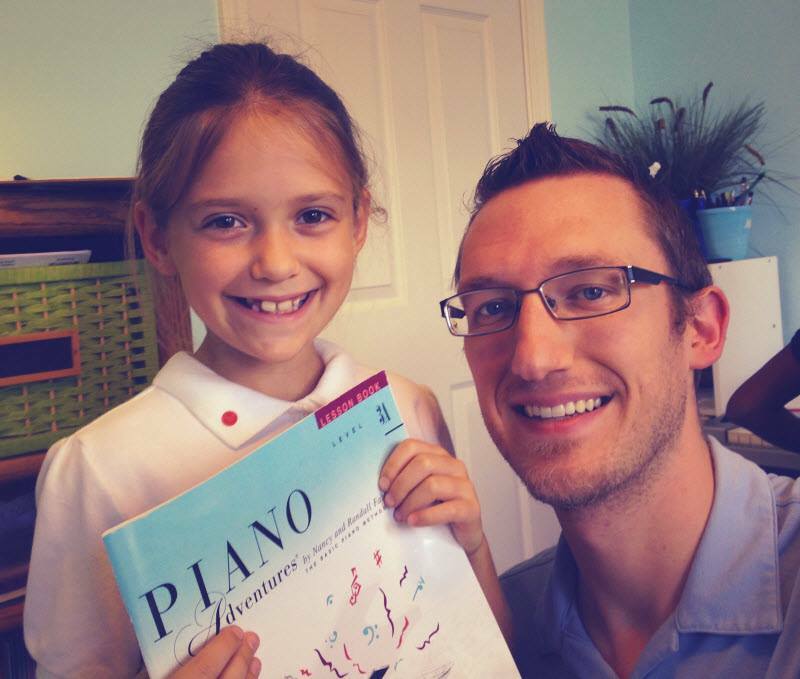 ASK your piano teacher how they motivate their students! In my opinion, a great teacher motivates students to play by making the learning process easy! Kids will naturally do things that they feel are easy to them including how to play the piano. Furthermore, I have benefited from a rich tradition of piano instruction. Daniel Nagy was tutored by Daisy de Luca Jaffe. Daisy de Luca Jaffe was tutored by Magda Tagliferro, who was trained by Alfred Cortot – all three of these pianists are internationally-known… And, if you go back just a few more piano teachers from Cortet, you will find names like Decombes, Diemer, Liszt, Chopin, Czerny, and Beethoven. I offer my students the opportunity to experience a rich tradition of piano tutoring that dates back centuries to some of the greatest pianists who have ever lived.